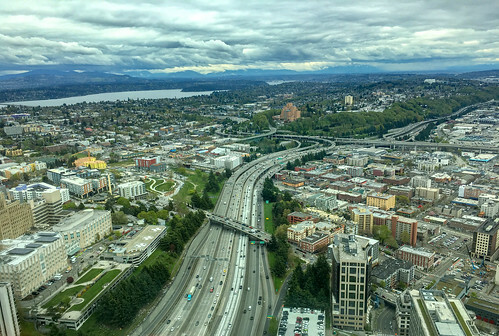 SDOT Blog – A Vibrant Seattle Through Transportation Excellence. New stairway @ Lakeside Ave S and S Jackson St.
Mar 29 – May 29: East Pine St & 39th Ave Pedestrian Bridge will be closed for inspection & maintenance. The East Pine St Pedestrian Bridge provides pedestrian access between Madrona Dr and 39th Ave in the Madrona neighborhood. During a recent structural inspection, we discovered extensive timber column rot throughout the bridge. To address this issue, the bridge will be closed starting March 29 for additional inspection and repairs and expected to re-open by May 29, 2019. Starting Friday, March 29, 2019, the bridge will close and all access will be restricted. The bridge will remain closed for two months for an inspection, maintenance, and repairs, and is expected to re-open on Wednesday, May 29, 2019. Access to 39th Ave from E Pine St will be closed. Eastbound traffic will be detoured via Madrona Dr and E Olive; Westbound traffic will be detoured via Evergreen Pl and E Olive St.
For schedule updates or project information, contact Richard Hovde, PE, SDOT Roadway Structures Bridge Engineer by email richard.hovde@seattle.gov or call 206.684.5197. Chapter 2 of the #SeattleSqueeze: Why did the buses come out of the tunnel? When King County built the Downtown Seattle Transit Tunnel, it was intended for an eventual transition to light rail only. The Washington State Convention Center addition project.
. L I G H T R A I L E X P A N S I O N .
Just south of International District/Chinatown Station, Sound Transit is expanding light rail to the Eastside in 2023. Begin early construction work to retrofit the tunnel and remove bus-only infrastructure in March as soon as the tunnel closes. Construct a turn-back track at the International District/Chinatown Station this summer. Construct a temporary center platform at Pioneer Square in October. When the Northgate extension opens in 2021, Sound Transit will operate longer four-car trains. In 2023, trains from the Eastside and from SeaTac will both continue through downtown Seattle all the way to Northgate. These two lines will mean trains run as often as every four minutes at shared stations. “The train is being held due to traffic ahead,” is now a thing of the past. Starting next week, trains will be more evenly spaced and will adhere more closely to their peak schedule of arriving every six minutes. We’re about to see our whole region connected by light rail. 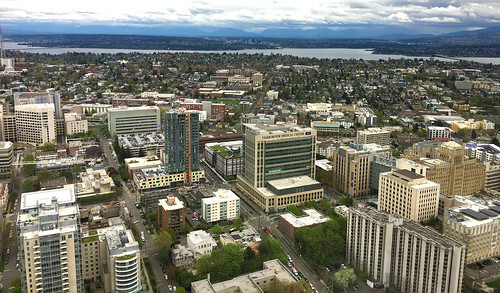 The extensions to Northgate (2021) and Mercer Island, Bellevue and Overlake (2023) are under construction. Trains will then reach Lynnwood, Federal Way, and downtown Redmond in 2024; West Seattle and Tacoma in 2030; Ballard and South Lake Union in 2035; Everett in 2036; and South Kirkland and Issaquah in 2041. The future is buses and trains, people!
. C O N V E N T I O N C E N T E R.
The WA State Convention Center addition will be a transformative project that provides a host of economic benefits. Just northeast of Westlake Station, WA State Convention Center (WSCC) construction continues to make progress and will soon close off the only access point for buses at the former Convention Place Station. Metro agreed to transfer the Convention Place property in June 2017 and timed the service change so riders and bus service could make a smooth transition. The WSCC addition will be a transformative project that provides a host of economic benefits, including as much as $260 million annually in visitor spending, as many as 3,900 direct and indirect jobs, and some 6,000 jobs during construction. Nearly 15 years ago, the decision was made to close Convention Place Station (CPS) to bus traffic when light rail extends beyond the University of Washington. The long-term plan has been for the buses to deliver passengers to the light rail stations and use the light rail to move riders through the hourglass of downtown. This requires more trains and rail cars, which means buses must move out of the tunnel. Construction is scheduled to be complete in 2021 and will be open for events in the spring of 2022. This is just the latest chapter of the Seattle Squeeze. To keep people moving, the City of Seattle built a new bus lane on 5th and 6th Avenues and Metro launched all-door boarding on 3rd Avenue, which means you can tap your ORCA card and board any bus door. In all 15 bus routes changed what stops they serve. Learn more about how we’re keeping people and goods moving safely and efficiently during the Seattle Squeeze by visiting www.seattle.gov/traffic. #MoreMetro = More trips on bus routes for you! As of March 23, there are more trips on bus routes with high ridership demand. 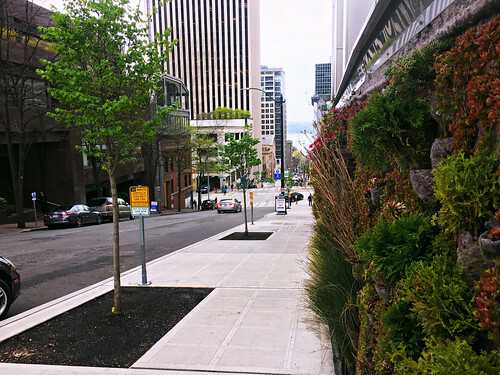 The buses are out of the Downtown Seattle Transit Tunnel, but that’s not the only change that’s happening to our downtown streets! As of March 23, there are more trips on bus routes with high ridership demand serving many parts of Seattle to make transit an even more reliable option during the #SeattleSqueeze and beyond. More daily bus trips to get you where you need to go. Thanks to the Seattle Transportation Benefit District (STBD), there’re more daily bus trips to get you where you need to go. STBD helps us improve transit access and options for students, low-income families, + more! STBD Proposition 1 was passed by Seattle voters in November 2014. Through a $60 vehicle license fee and 0.1% sales tax increase, STBD raises roughly $50 million per year to fund improved King County Metro transit service within Seattle. It helps us improve transit access and options for students, low-income families, and more. Check out the STBD Year 3 Annual Report for more information. Here’s a snapshot of the upcoming large-scale events and construction happening around the City this week, March 25-31, 2019. These events may impact how you get around town, so be sure to see our trip planning tools and plan ahead! Also, don’t forget to look at our Citywide Events Calendar for more things to do. Have fun! expected to be in peak bloom by the weekend! Mariners vs. San Diego Padres: Exhibition game at T-Mobile Park. First Pitch: 7:10PM. Estimated attendance: 10k. Kodak Black concert: At WaMu Theater. Event hours: 8 – 11:30PM. Estimated attendance: 7k. Mariners vs. San Diego Padres: Exhibition game at T-Mobile Park. First Pitch: 1:10 PM. Estimated attendance: 10,000. Mariners vs. Boston Red Sox: Opening Game of 2019 Season! At T-Mobile Park. First Pitch: 4:10 PM. Estimated attendance: 42,000. Mariners vs. Boston Red Sox: At T-Mobile Park. First Pitch: 7:10 PM. Estimated attendance: 35k. Magnolia Little League 2019 Season Kickoff Parade: Parade starts at McGraw St. & Westmont Way W. Event hours: 10AM – 11:30AM. Total estimated attendance: 2k. Taste Washington: Event runs both Sat and Sun, and features more than 235 wineries and 65 restaurants at CenturyLink Field Event Center. VIP Grand Tasting: 1:30pm-6pm. General Admission Grand Tasting: 2:30 – 6PM. Estimated attendance: 3k. Mariners vs. Boston Red Sox: At T-Mobile Park. First Pitch: 6:10PM. Estimated attendance: 35k. Seattle Men’s Chorus presents: Believe the Music of Cher: At McCaw Hall. Saturday performance at 8PM. Estimated attendance: 3,000. Mariners vs. Boston Red Sox: At T-Mobile Park. First Pitch: 1:10PM. Estimated attendance: 35k. 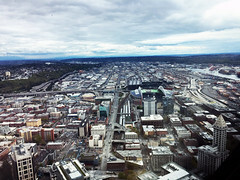 Taste Washington: Event features more than 235 wineries and 65 restaurants at CenturyLink Field Event Center. VIP Grand Tasting: 1:30 – 6pm. General Admission Grand Tasting: 2:30 – 6pm. Estimated attendance: 3k. Seattle Men’s Chorus presents: Believe the Music of Cher: At McCaw Hall. Sunday performance at 8PM. Estimated attendance: 3k. 35TH AVE NE PROJECT: Safety for all in NE Seattle. We’ve heard from many people advocating for safer ways to travel in NE Seattle. 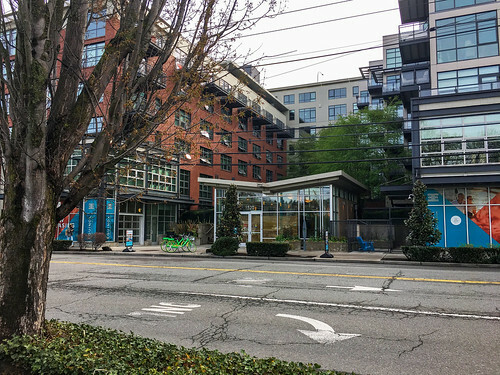 Since planning for the 35th Ave NE Project began in 2016, we’ve heard from many people advocating for safer ways to travel in NE Seattle. We’ve welcomed every comment, phone call, email, and conversation and taken those into consideration. We appreciate everyone who has reached out to share their thoughts, concerns, and support for the proposed safety enhancements. Moving forward with a new design for 35th. When the project began, the goal was to better organize the street, increasing safety for everyone. To meet this goal, we proposed a design that included bike lanes consistent with recommendations from the Bike Master Plan adopted by City Council in 2014. 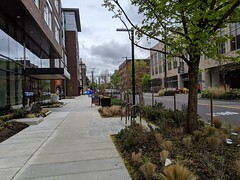 In response to the feedback we heard about the design, and based on industry best practices, data analysis, and continued conversations with the community, we’ve chosen to move forward with a new design that includes 1 travel lane in each direction, a center turn lane (north of 65th) and parking maintained on the east side of the street (between NE 47th and NE 85th streets). 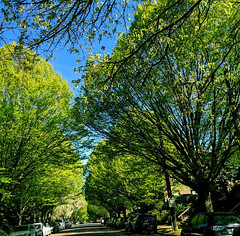 In addition, we’ll be making enhancements to the neighborhood greenway on 39th Ave NE. Better street design can lead to safer streets. The new design helps us improve safety and operations for all travelers on 35th by providing a dedicated space for turning vehicles. We’ve seen decreased vehicle speeds and decreased collision rates on streets with one lane in each direction and a center turn lane. 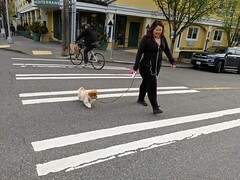 Examples include NE 75th St, NE 125th St, and Nickerson St. By slowing vehicle speeds and better defining the travel lanes, this helps increase safety for everyone on 35th, including people crossing the street. The new design will also allow efficient transit travel through the corridor with southbound buses making in-lane stops at the curb. Based on community feedback, the new design keeps the northbound and southbound bus stops at NE 68th St for riders wanting access at this important location. We’ve heard consistently that safety along this corridor is the neighborhood’s number one priority. Throughout the lifetime of this project, we have continued to receive feedback about the original design and participated in additional conversations with community members for and against this project in an attempt to find common ground. We have heard consistently that safety along this corridor is the neighborhood’s number one priority. 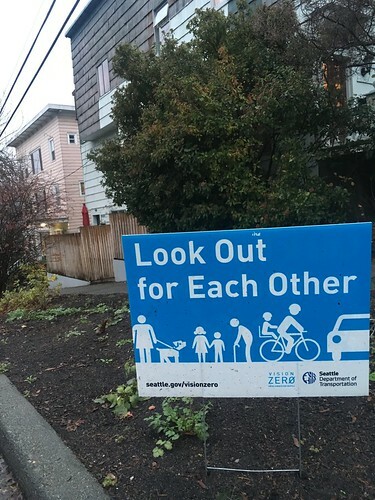 With a year’s worth of comments, targeted outreach, and additional analysis, we have chosen a new design that reflects the neighborhood priority to enhance safety along 35th. While there would be no protected bike lanes on 35th, people riding in the street would still benefit from slower vehicle speeds and clearly defined travel lanes. 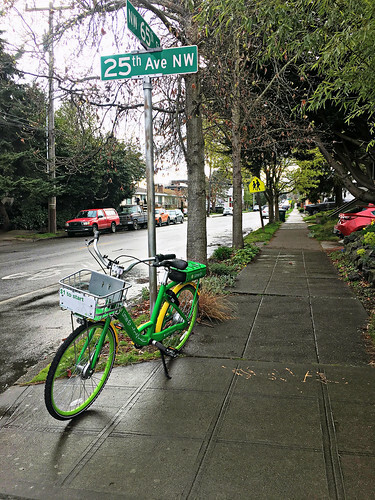 We will also be making enhancements to the parallel neighborhood greenway on 39th Ave NE that provides a route for people that prefer to bike on a quieter street. To make space for the center turn lane, parking will be maintained on the east side of the street, instead of both sides. Throughout this project, we’ve worked with businesses and religious organizations along 35th to better understand parking, loading, and access needs. With the new design, we have decided to prioritize parking on the east side of the street. This decision is based on community feedback and the location of several existing load zones and ADA parking spaces on the east side of the street. We’ve heard that these spaces are critical for people with limited mobility that are attending services at the religious institutions on 35th. We’re moving forward to implement this new design in order to improve safety for everyone. The design is conceptual and still needs to be further developed. We’ll share additional details with the community in the coming weeks. The new design addresses many concerns we’ve heard from the community, however, we’ve also heard requests for additional enhancements along the corridor. SDOT is evaluating these requests and will share more information as we have it. 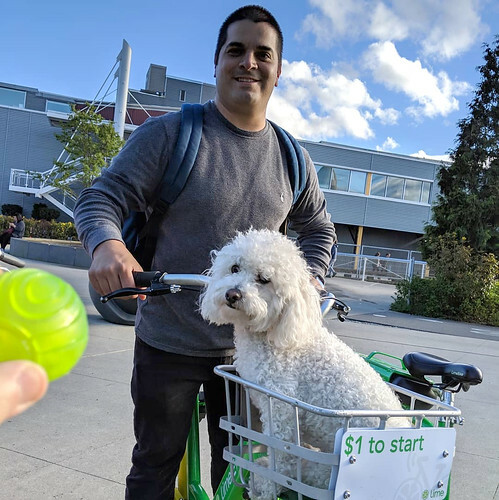 We hope to continue developing a strong relationship with community members to help us take a holistic look at future transportation and mobility projects in northeast Seattle. We anticipate construction, including final paving and striping, to resume this spring. 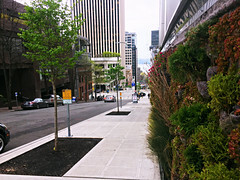 If you have questions, please contact us at 35thAvePaving@seattle.gov or 206.512.3950. #SeattleSqueeze Alert: More Uniformed Police Officers on downtown streets Mar. 25–27, 2019. Uniformed Police Officers (UPOs) will be at key downtown intersections to keep cars, transit, and people moving. To help keep transit moving during the first commute days of the buses coming out of the Downtown Seattle Transit Tunnel, with the help of our partners at King County Metro and the Seattle Police Department, we’re placing uniformed police officers (UPOs) at key downtown intersections on weekday evenings. Beginning Monday, March 25, officers will help direct traffic, keeping bus lanes and intersections clear, and keeping cars, transit, and people moving. Officers will not override traffic signals; rather, they will ensure intersections are kept clear. This helps everyone traveling through Seattle at peak commute hours. Our traffic engineers worked closely with our partner agencies to identify the appropriate locations and number of officers staged. If you’re not a bus, then you (generally) shouldn’t be in the transit lane. Stay in your lane. If you’re not driving a bus, then you (generally) shouldn’t be in the transit lane. In some instances, you can hop into a bus lane to turn off the street, but for the most part, bus lanes are for buses, so please don’t use them to get around gridlock. Please, don’t block the box. Keep the intersections clear. Don’t block the box. Keep the intersections clear. When you pull into an intersection, make sure you can clear it before the signal changes to a red light. Wait your turn. 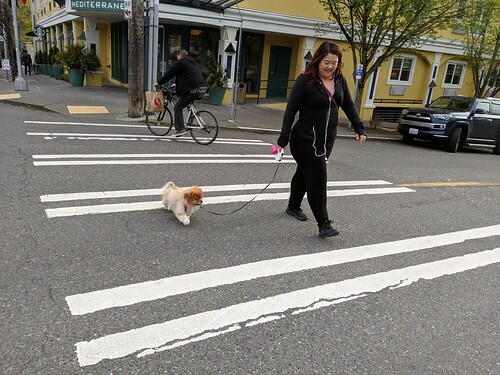 Don’t be that person who holds up traffic and blocks the crosswalk – it’s not safe for anyone involved, plus, it negatively impacts those with mobility challenges. Also, there’s nothing like being honked at and getting the warranted evil eye from people trying to cross the street. Thanks for doing your part to help keep Seattle moving safely during the #SeattleSqueeze! 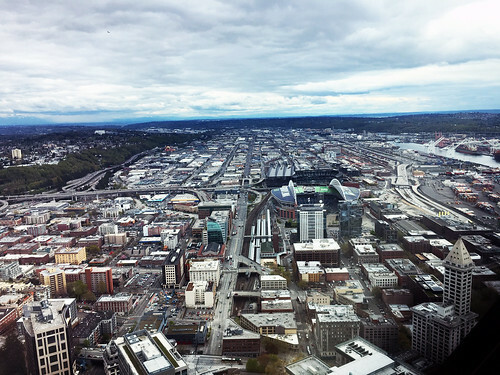 Over the next five years, Seattle’s downtown will be in a state of transition to meet the needs of our growing city and region – #SeattleSqueeze. We’re making changes to our city and to our regional transportation system and help people get where they need to go safely and efficiently. 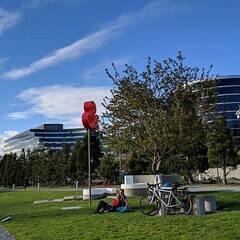 New mobility projects are being developed and constructed to connect communities to downtown with fast, regular service and to create the public spaces our growing region needs. For more information, tools, and resources on #SeattleSqueeze, please visit our website! Another new normal. Another new chapter. Tonight, we bid our final farewell as the buses exit stage left and right of the Downtown Seattle Transit Tunnel platform. 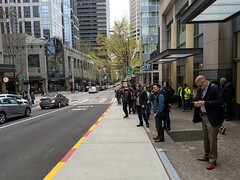 By the time most of you wake up on Saturday morning (3.23.19), seven bus routes will have made their permanent ascent from the Downtown Seattle Transit Tunnel (DSTT) to Seattle’s surface streets. 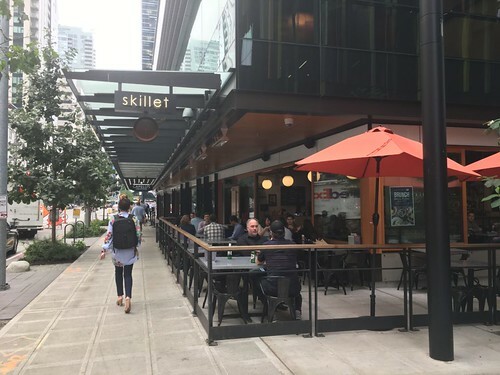 Another new normal, another new chapter for our growing city as we make changes to accommodate the Washington State Convention Center construction and future Link light rail expansion. We’ve prioritized transit by streamlining and improving transit operations. We expanded Third Ave bus-only hours. We expanded the bus-only hours on Third Ave from Stewart St to just south of Yesler Way. This means for seven days a week, from 6 AM in the morning to 7 PM at night, Third Ave is reserved for buses, bicyclists, and pedestrians. We installed ORCA transit card readers & real-time bus arrival signs. New ORCA transit card readers and real-time bus arrival signs are at every single stop on Third Ave between Yesler and Denny. This means starting on March 23, you’ll be able to tap your ORCA transit card prior to boarding the bus to speed up your bus on-boarding. Permanent off-board fare readers are already installed at 21 of the corridor’s 31 bus stops, and installation at the remaining ten stops is scheduled April through December 2019. Until permanent equipment is installed, transit operators will serve as ORCA boarding assistants and will scan riders’ ORCA cards using handheld fare readers at ten stops during weekday commutes between about 3 – 7 PM, the busiest period for boarding on Third. Peak-only bus pathways on 5th & 6th avenues. To keep transit moving reliably, we installed a new bus pathway on 5th and 6th avenues to serve as a PM peak-only bus lane to help buses move travelers north. These buses are traveling to northeast Seattle and the Eastside, and we’re thrilled to be providing a quick and reliable commute for these travelers, as well as working with Metro to make sure our other downtown streets are clear for transit. The King County Metro routes that will use the pathway include 74, 76, 77, 252, 255, 257, 301, 308, 311, and 316. If you ride one of these buses, your bus route has changed. If you ride one of these routes: 41, 74, 76, 77, 101, 102, 150, 252, 255, 257, 301, 308, 311, 316, 550, you will now get on and off at the new bus stops downtown. NEW MAP: Bus stops on 2nd to 6th avenues. Adjusting and prioritizing transit is a key way to making sure people can keep moving reliably and affordably throughout Seattle. We really appreciate our partners at King County Metro for their collaboration and hard work with us to make these critical transit improvements. And finally, thank you, again and again, Seattle, for adjusting with us as we grow together as one of the best cities of the world! Over the next five years, Seattle’s downtown will be in a state of transition to meet the needs of our growing city and region – #SeattleSqueeze. We’re making changes to our city and to our regional transportation system and help people get where they need to go safely and efficiently. 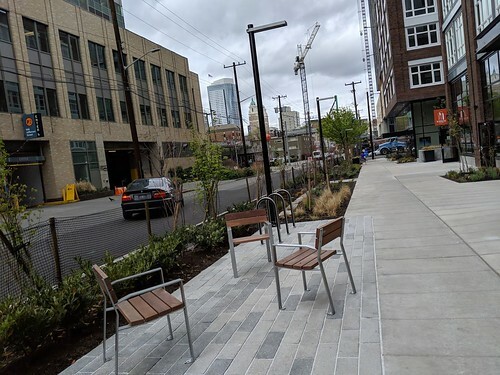 New mobility projects are being developed and constructed to connect communities to downtown with fast, regular service and to create the public spaces our growing region needs. For more information, tools, and resources on #SeattleSqueeze, please visit our website! 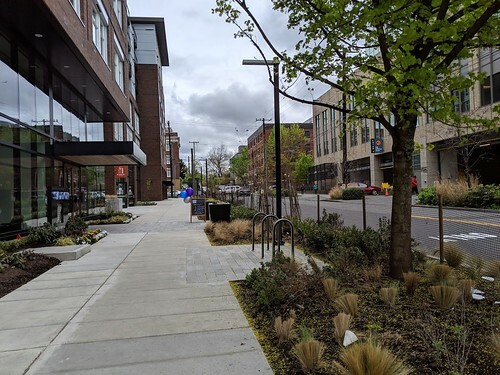 Our landscape crews will be performing a spring cutback, weeding, and cleanup of the medians on Mercer St between Dexter Ave N and Terry Ave N this Sunday, March 24, 2019. The lanes adjacent to the median (both the east and westbound) will be closed from 7 AM to 3:30 PM. A free & fun activities for all at the High Point Play Area celebration on Sat, Mar 23! Hey, everybody! Seattle Parks and Recreation (SPR) and Seattle Department of Transportation (SDOT) invite the community to celebrate the new High Point play area on Saturday, March 23, 2019, from 2 to 4 PM at the High Point play area located behind the High Point Community Center in West Seattle, next to the Walt Hundley Playfield at 6920 34th Ave SW.
It’s free & open for all! The celebration is free and open to all. The event will include a ribbon cutting, refreshments, face painting, music, a bike decorating station, low-ropes course challenge activities, and a children’s bicycle parade at 3 PM. The High Point play area is newly renovated! The renovated High Point play area is four times the size of the original play area and includes new swings, slides, and several climbable structures, as well as a new seating area. The park features a rolling hill with a net climber and an overhead climbing structure. In partnership with SPR’s Greenways Initiative, the project incorporates a bike path that connects the play area and Walt Hundley Playfield to the neighborhood greenway currently in construction by SDOT along 34th Ave SW.
We’re hosting a design workshop for a decorative pavement park! We’re hosting a bike decorating station and a design workshop for the decorative pavement park connection on 34th Ave. SW. Phase 1 of the West Seattle Neighborhood Greenway is wrapping up in 2019 and will connect the High Point Community Center and Play Area to EC Hughes Playground and Roxhill Park. The route will be extended to connect Camp Long and additional High Point Neighborhood parks in 2020. Come celebrate the play area, discover new greenway connections and participate in the 3 p.m. bike parade. The West Seattle Bee Garden and Neighborhood House will help us celebrate the new play area with bike decorating supplies, bee educational materials, and button making activities. For more information, visit our webpage. 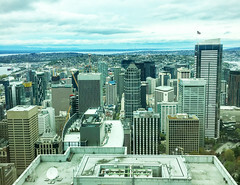 If you have questions about the event, please contact Karen O’Connor at karen.o’connor@seattle.gov or 206.233.72929. To learn more about Camp Long and the challenge course visit their website. March 23-24: Get ready for round two of closures at S Massachusetts St & 23rd Ave S.
This weekend, March 23-24, our work continues from last weekend at the 23rd Ave S and S Massachusetts St intersection to replace the existing concrete panels on S Massachusetts St as part of the larger 23rd Ave Corridor Improvements project. This weekend we’re completing the second half of the project and replacing the concrete panels on the east side of the intersection. Our goal is to improve safety and mobility for people who drive, walk, bike, and take transit in this area. This weekend we’re focusing on the east side of the intersection. Starting at 7 AM on Saturday, we’re closing the east leg of the 23rd Ave S and S Massachusetts St intersection to dig up and remove the old concrete panels, then form, and pour new ones. The road will stay closed Sunday to allow the concrete to cure and will return to normal on Monday, March 25, at 5 AM. The east leg of the 23rd Ave S and S Massachusetts St intersection will be closed. For the duration of the closure, motorists will be detoured to the arterial. Local access will be maintained along S Massachusetts St between 23rd Ave S and Martin Luther King Jr Way S.
We’ve obtained a noise variance to start work at 7 AM on Saturday. Neighbors will see and hear construction activity throughout the weekend. Thanks for your patience! Want more information about this project? 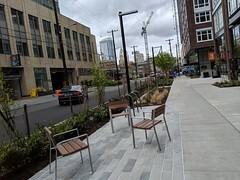 If you have questions or concerns, please contact the project team at 23rdAveCorridor@seattle.gov or call the project information line at 206.727.8857.